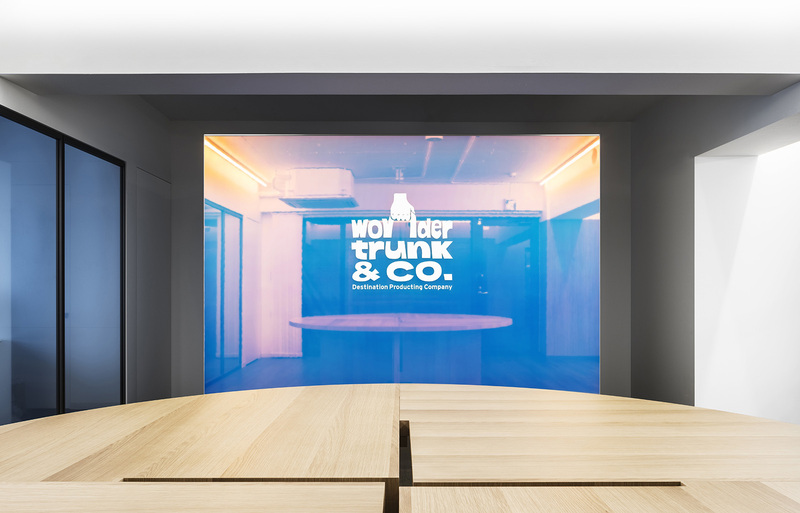 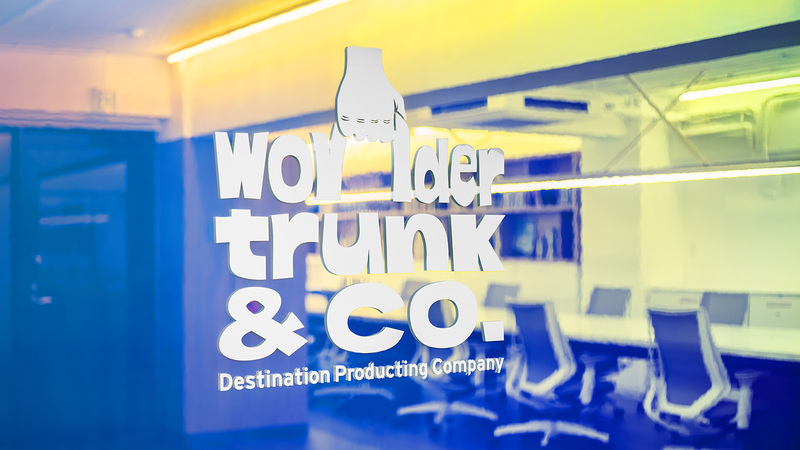 Office space, designed for wondertrunk and co. Travel agency in Tokyo, Japan. 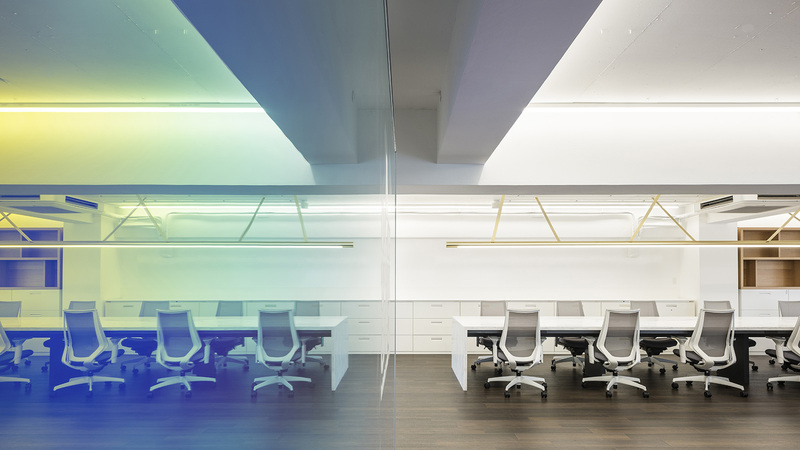 Directed by the pruducer, GRIFFON, the travel company's philosophy for diversity and presenting a colorful palette of unique places in Japan, has been emphasized in their new office through a center custom-made glass, which creates a unique dichroic effect, creating the feeling of the space looked through a filter lens. 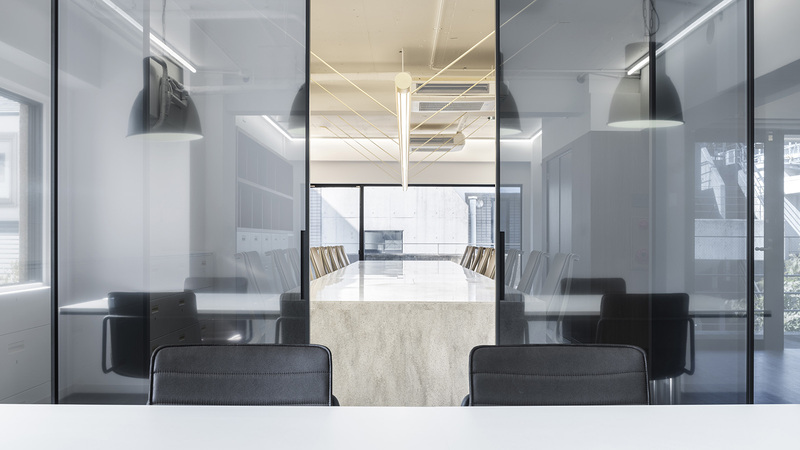 Other special glass, surrounding the space around the meeting rooms, use different reflection effects, so that every room looks different and every angle appears with a new filter aspect. 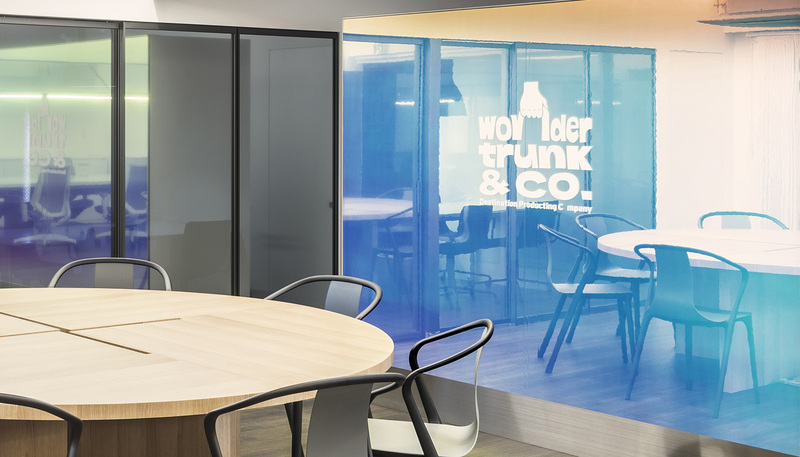 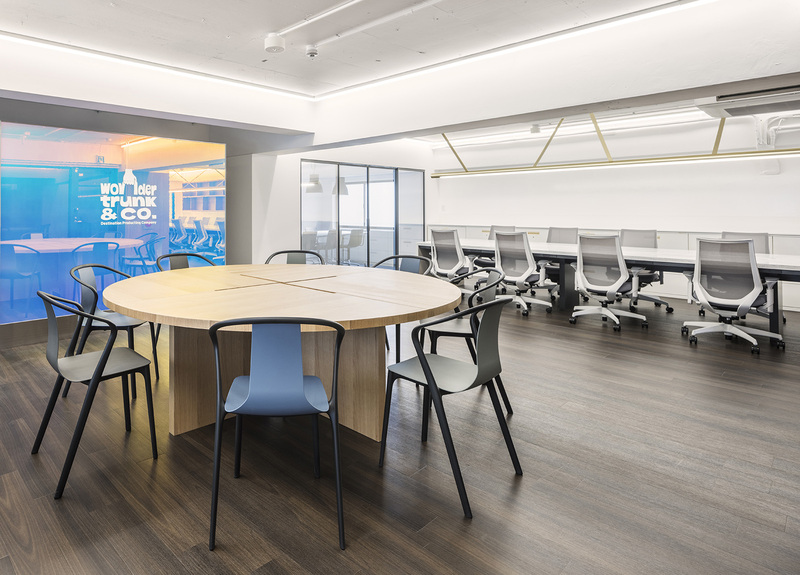 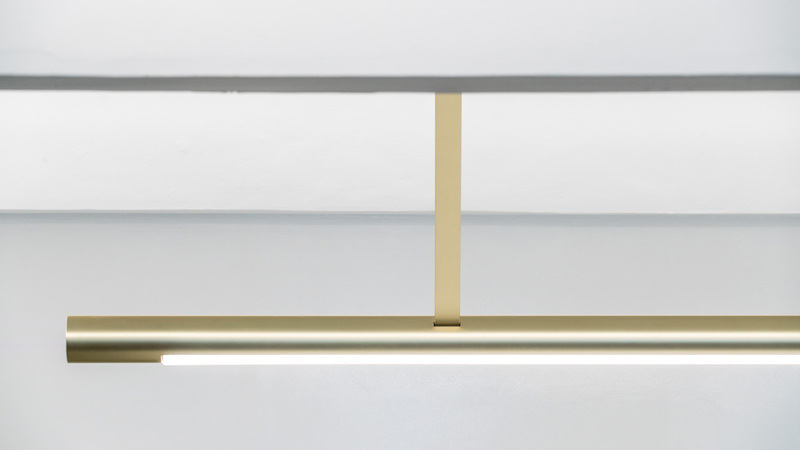 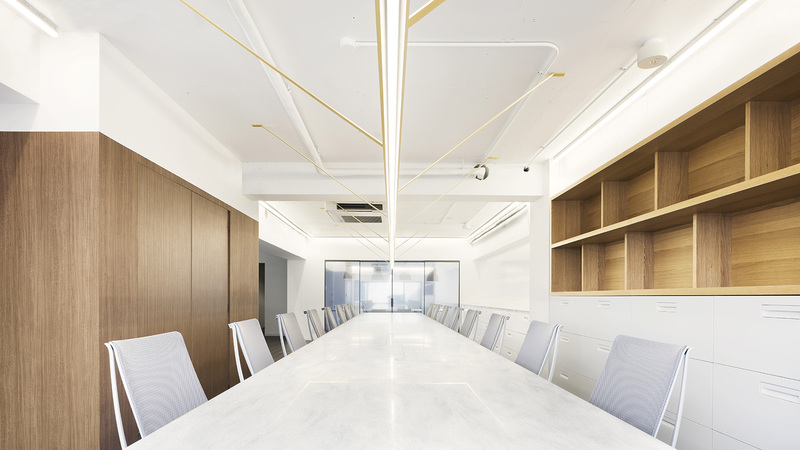 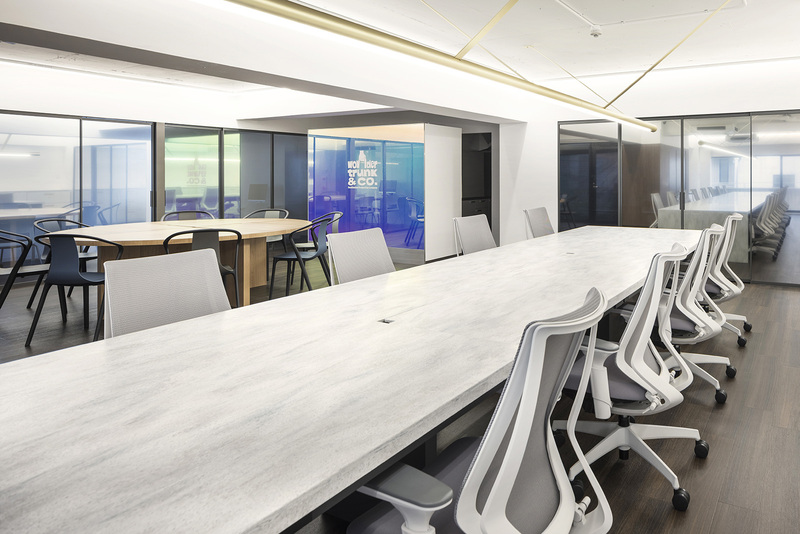 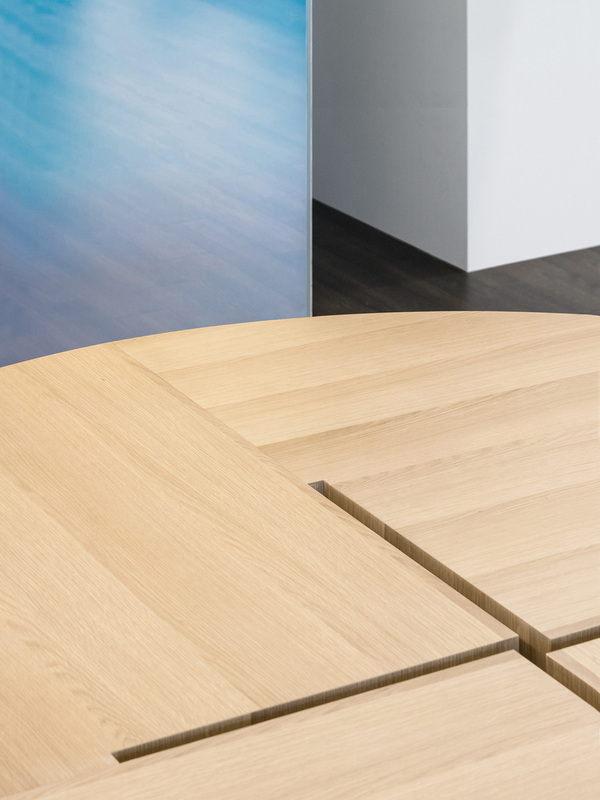 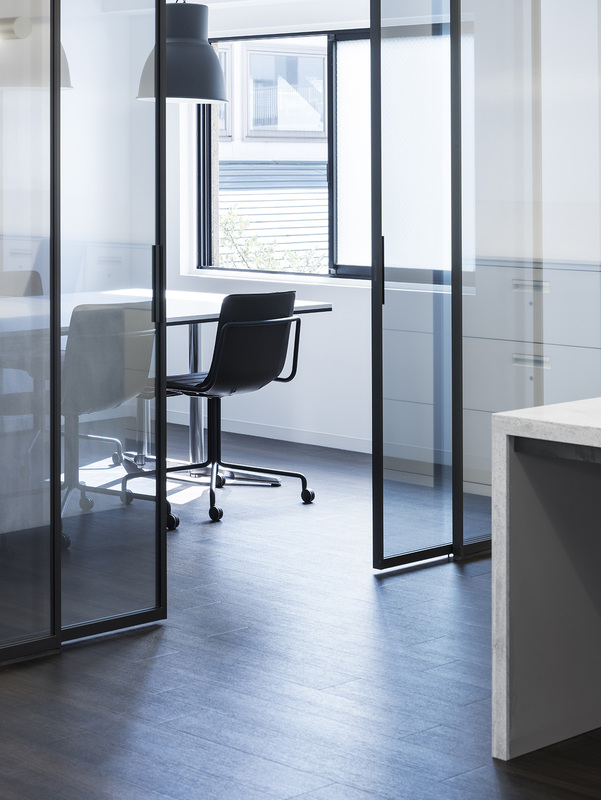 The company is swiftly expanding, therefore a 9 meters long table was created to accommodate up to 20 members of staff, who can share the same working space and time.